Add the Cayman Islands to the Caribbean destinations generating strong visitor-arrivals growth in 2017. Government and tourism officials reported a 12.8 percent year-over-year increase in air passenger arrivals for June. The summer surge comes two months after the destination achieved its highest-ever visitor arrivals for April, said government and tourism officials. Cayman air arrivals for June were up 12.84 percent over the corresponding period in 2016, totaling 38,729 visitors. U.S.-based travelers drove the increase, with an 18.6 percent year-over-year surge in visitors. 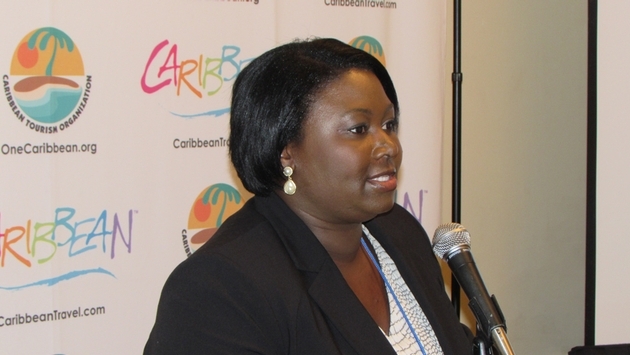 Overall, American guests represent 82 percent of Cayman’s overnight visitors in June, according to Cayman Islands Department of Tourism (CIDOT) data. Not surprisingly, the destination is benefitting from increased airline service in 2017. The Cayman Islands has also expanded its relatively limited hotel base with the soft opening this spring of the 285-room Margaritaville Beach Resort Grand Cayman on Grand Cayman’s Seven Mile Beach. That launch followed the November 2016 premiere of the 266-room Kimpton Seafire Resort & Spa. Despite the June gains, the Cayman Islands remains firmly middle-of-the-pack in terms of overnight, land-based arrivals among Caribbean Tourism Organization (CTO) destinations. The Cayman Islands recorded 385,451 air arrivals in 2016, 13th among the 31 CTO-tracked destinations. The figure represents an incremental increase over the 385,378 air arrivals recorded during 2015. Overnight arrivals “are holding their own,” said Rosa Harris, CIDOT’s director. While it seeks to raise its profile among land-based visitors, the Cayman Islands remain among the Caribbean’s most-visited cruise ship ports of call. The country hosted 1,711,849 cruise ship arrivals in 2016—behind only the Bahamas, Cozumel and the U.S. Virgin Islands. Yet, of the four largest cruise ship destinations, the Cayman Islands is the only one without a major cruise pier and berthing facility. The government is planning to build a $150 million cruise ship port, most recently issuing a request for contractors to pre-qualify for the project. The port has at times been controversial and is opposed by environmental groups and some tourism stakeholders in the capital of Grand Cayman and the wider Cayman community. Government officials have yet to issue a final report from project consultant KMPG with details including the port’s financing model, total cost and design with regards to minimizing reef damage and other operational and marine environmental aspects. The country’s Port Authority forecasts cruise arrivals to expand to a maximum of 2.4 million annual arrivals within 30 years. The Cayman Islands reached a record 1.9 million arrivals in 2006.